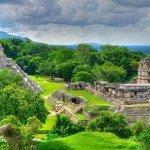 Iberia cheap flights from Barcelona to Guatemala City from €344 return! Expedia UK promotion code 2019 – 10% discount off hotel rooms! Experienced travelers have some great opportunity to explore Central America with these discounted flights based on promotion of Spanish national carier Iberia. Book cheap flights from Barcelona to Guatemala City already for €344 and visit Guatemala to explore famous ancient Mayan city of Tikal, declared as UNESCO World Heritage Site. Fare is inclusive of all taxes and fees as well as 23kg checked bag. Flights have one layover in Madrid and additional short stop in El Salvador on a way back. If interested in this Iberia promo deal from Barcelona to Guatemala City look for flights from end of February to first half of June or September to beginning of December 2019. Max stay 12 months. Note that May is beginning of a rainy season so check what is the weather usually like before you book this deal..Discount with Iberia is avaiilable till 27th of February but we expect that the cheapest offer will be gone much faster..This is great option for many travelers in Europe planning to travel to Central America. Use Skyscanner tool to compare the cheapest connecting flights to Barcelona from your homecity. Travel dates. : This time the cheapest option is when making your purchase directly with Iberia where you can easily compare all the cheapest flights. Need some budget accommodation in Guatemala you can use Booking.com. Hotels.com or Amoma. Booking sample of Iberia promotion offering cheap flights from Barcelona to Guatemala City from €344 return! In this case you would depart from Spain to Guatemala on Monday, 6th of May. Return from Central America back to Barcelona via Madrid on Saturday, 18th of May 2019.